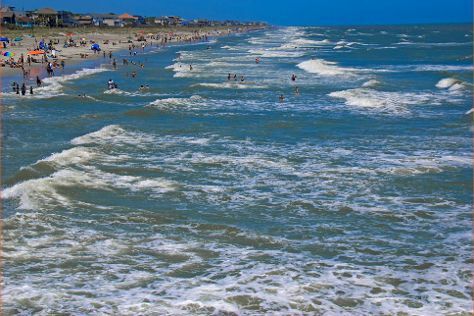 Myrtle Beach is a coastal city on the east coast of the United States in Horry County, South Carolina. Kick off your visit on the 9th (Fri): revel in the low prices at Tanger Outlets Myrtle Beach Hwy 17, then examine the collection at Hollywood Wax Museum, and then stop by Bijuju. For other places to visit, reviews, photos, and more tourist information, go to the Myrtle Beach trip itinerary maker app . Philadelphia to Myrtle Beach is an approximately 3.5-hour flight. You can also do a combination of train and flight; or drive. Plan for a bit warmer temperatures traveling from Philadelphia in November, with highs in Myrtle Beach at 66°F and lows at 46°F. Finish your sightseeing early on the 9th (Fri) so you can drive to Charleston. On the 10th (Sat), kick back and relax at Folly Beach Public Beach and then look for gifts at Christophe Artisan Chocolatier - Patissier. Get ready for a full day of sightseeing on the next day: take an in-depth tour of Old Exchange & Provost Dungeon, experience rural life at Charleston Tea Plantation, then appreciate the history behind Fort Moultrie, and finally stroll the grounds of Magnolia Cemetery. To find ratings, photos, more things to do, and more tourist information, read Charleston trip itinerary planning site . You can drive from Myrtle Beach to Charleston in 2.5 hours. Another option is to take a bus. November in Charleston sees daily highs of 68°F and lows of 49°F at night. Wrap up your sightseeing on the 11th (Sun) to allow time to drive to Hilton Head. Kick off your visit on the 12th (Mon): examine the collection at Coastal Discovery Museum, then take a memorable tour with Tours, then identify plant and animal life at Sea Pines Forest Preserve, and finally stop by The Oilerie Hilton Head Island. To find ratings, traveler tips, and more tourist information, go to the Hilton Head trip itinerary planning app . Traveling by car from Charleston to Hilton Head takes 2.5 hours. Alternatively, you can take a bus. November in Hilton Head sees daily highs of 68°F and lows of 51°F at night. Cap off your sightseeing on the 12th (Mon) early enough to travel back home.